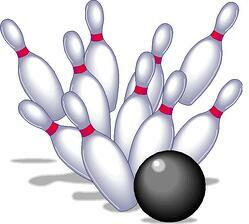 In bowling, if you want a strike you don't focus on all ten pins; you focus on only one or two. In business, if you want growth there is much to be learned from The Bowling Alley. It is way too difficult for any company - and especially small and mid-market companies - to try to be a whole bunch of things to a whole bunch of people. While this is, in essence, the approach that 90%+ of businesses take; it results in a commoditized message, a failure to resonate and a life lived in The Commoditization Trap. It is far more effective to isolate your message, your sales approach and your execution of those few things that make you indispensable to your core customers. This enables you to stand out, as you stake the ground of BEST. This approach allows you to allocate the necessary resources - time, money, energy - to the limited opportunities that provide the opportunity for disproportionate rewards. Figuring out where can you be the best, and who can serve the best is what I call defining your Headpin Market™. The beauty of this approach is, like a set of bowling pins, when you succeed in your Headpin Market, it builds the momentum allowing you to succeed in other markets and growth scales as a result. Why are you indispensable to them? When your Headpin Market is clear, growing a business becomes much simpler.